We’re busily working with runaka on the Simpā project. Tori and Amber are helping communities build capabilities in digital media as part of engaging in their own narratives. Tori writes up brief notes of each session, and with her permission, I thought I’d share some of them with you. These document a project of combining computing and culture that is turning out to be even more amazing than we hoped. We had a wānaka with Tahu, Megan and wider family. Tahu shared his knowledge of the Kai Tahu creation story. 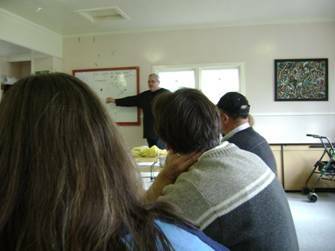 He plans on telling our Kai Tahu history from creation to present day. These stories will be presented as brief pakipūmeke, blending Tahu’s dialogue with virtual imagery for a digital story. Once produced these digital stories will be accessible via the net (via the Kai Tahu networks). 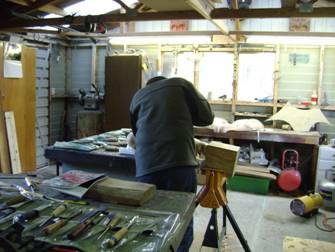 Throughout the year Ōtākou are hosting wānaka for Kai Tahu Whānui. We captured the kōrero that took place at the Kaik in early May. This footage will be edited so the whānau have a resource of the matauraka that was shared. This resource will form part of the gamepā for the runaka and demonstrates an increasing confidence in the use and value of digital approaches. There is no better way to start the Māori New Year and acknowledge Puaka and Matariki then getting together with whānau and planting. That’s what the Wesley Whānau and friends did the day of the winter solstice. 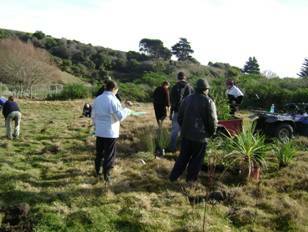 In the aim of recreating the once abundant wetland, Moana, Rua and the crew gathered, dug, planted, admired and ate! Several species of Wetland susceptible plants were allocated to the respective zones. High and dry, low and wet. We learnt about the plants, animals and potential to restore this area in to a flourishing mahika kai. 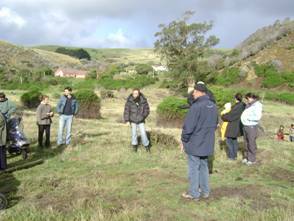 The SimPā crew with the Wesley whānau recorded the day and look forward to recreating what the area looked like and simulating what it may look like in the future. 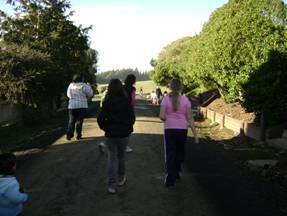 The Puke te Raki Whānau (Karitane kids) had their Rangatahi/Tamariki School Holiday Programme at Huirapa Marae in July. Day one got off to an exciting start with Upoko David Ellison commencing the programme. Then the 5 years and under learnt waiata while the older kids talked about special places and people. This was all a part of the SimPā process which included the kids taking photos and filming their time at the Marae, Museum and Moana Pool. As part of the SimPā storytelling and resource research we were lucky enough to spend time with James York and the carvers of the Waharoa and carvings that now adorn Huirapa Marae. This was awesome and we look forward to sharing this journey. Film, photos and much more to come.